Algeria has signed deals to provide gas to Spain and to Italy’s Eni ENI.MI as it negotiates new gas contracts with European partners, the head of Algerian state energy firm Sonatrach Abdelmoumen Ould Kaddour said on Wednesday. Algeria has signed a nine-year deal to supply Spain with nine billion cubic metres (bcm) of gas per year, as well as a deal to supply Italy’s Eni ENI.MI with 3 billion cubic metres of gas per year, Ould Kaddour said. He did not give a timeframe for the deal with Eni. 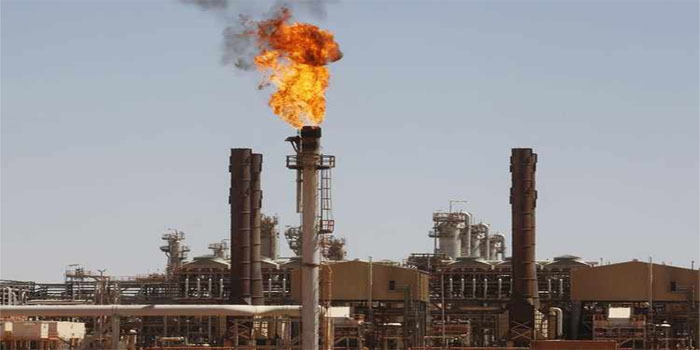 A senior Sonatrach official said the firm was also in talks with Shell RDSa.AS over developing joint projects in Algeria, part of a push to boost domestic production with new partners whilst trying to build reserves overseas. Algeria has been trying to attract more investment to its vital oil and gas sector, with Ould Kaddour pursuing a multi-pronged strategy since he took over as CEO in March 2017. “Our aim is definitely to rise our reserves by a presence overseas,” said the senior official, who asked not to be named. Sonatrach has already held talks with Niger and Iraq for exploration contracts. Talks with Bolivia are scheduled for next week.